After thousands filled the streets of Ottawa in support of the Women's March on Washington, the positive vibes spilled over into the evening, as merrymakers packed Zaphod Beeblebrox to witness the long-awaited return of alternative hip-hop legends Blackalicious. Following a decade-long hiatus, rapper Gift of Gab and DJ Chief Xcel released their fourth LP, Imani Vol. 1, before heading out on a lengthy world tour that wrapped up in the nation's capital on Saturday night (January 21). Opening the evening's festivities, local rapper Eddie Quotez looked blessed and euphoric while performing for the large and attentive crowd that showed up early. Joined by DJ J2xF, Quotez paced across the stage, coming off as a fervent and dedicated student of hip-hop, effortlessly melding Detroit's vitriolic style of rhyming with Toronto's unique blend of melody and his own loose-but-precise delivery. Bringing along longtime associates Jumbo (from Oregon group Lifesavas) and Lateef the Truthspeaker (from Latryx), Blackalicious managed to transport the already hyped crowd to an even more impassioned state, with the former leading an extended call-and-response to kick up the appropriately-titled opener "On Fire Tonight." Still feeling the effects of his near-death battle with kidney disease, the nominally-prodigious Gift of Gab came on stage looking thin, weakened and immobile (he remained seated for a portion of the set), but gracious — joining his fellow rappers to handily spit through the title track from their classic 2002 record, Blazing Arrow. 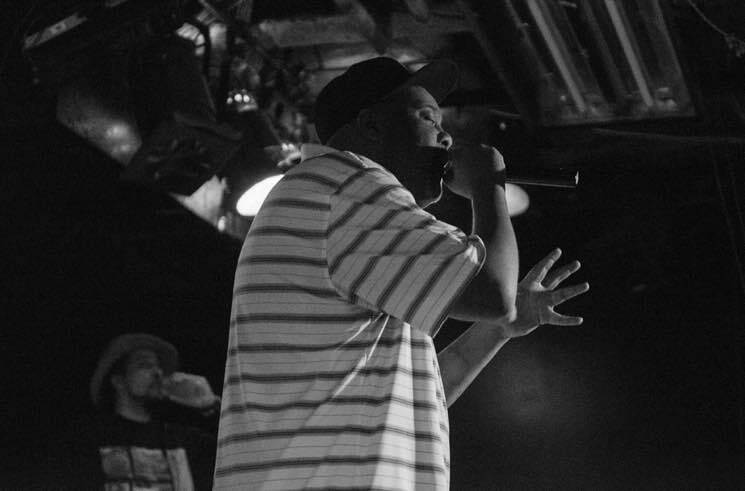 Throughout their 75-minute set, Blackalicious and guests kept Zaphod's bumping, giving the crowd a durable performance that included new tracks like "Blacka" and "Alpha and Omega" alongside deep cuts like "Rock the Spot" (from their 1999 EP A2G) and the 2004 Lateef and the Chief track "Don't Stop." The three rappers even delved into a few rounds of joyous freestyles, brilliantly including references to their love of Canada and dislike of Trump, during which Gab's punctilious and lightning-quick rhyming truly bowled over the crowd. Closing the evening off with "Swan Lake" and "Chemical Calisthenics," Blackalicious provided Ottawa with a memorable and hopeful conclusion to a truly historic day.